While many of Amy's paper pieced designs are extremely intricate this block is easy to piece. 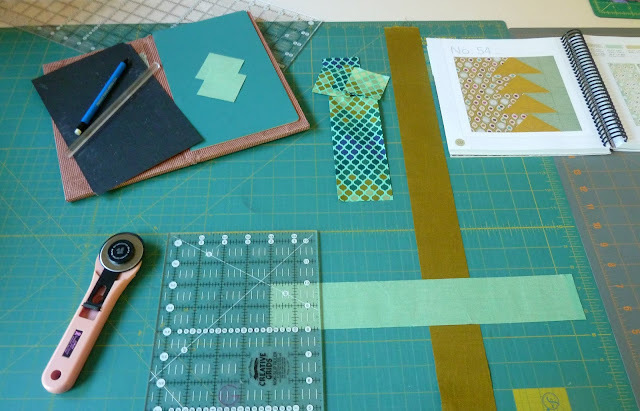 The complexity comes from fussy cutting your designs to tell the story. 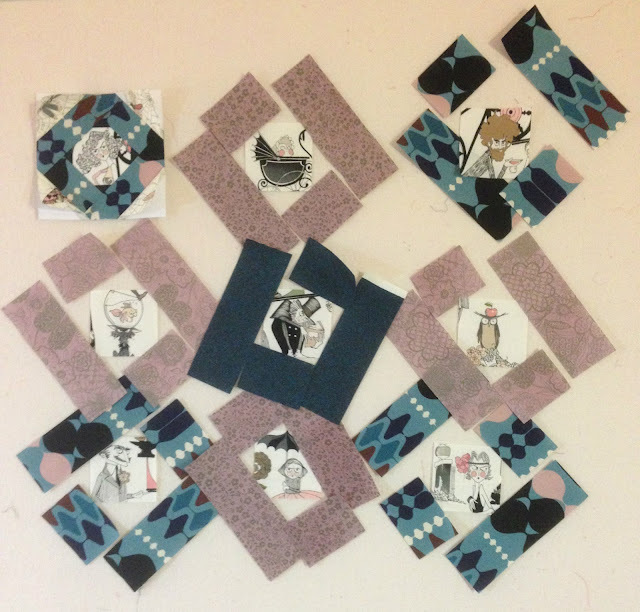 That said, these are 6" finished blocks so the pieces are tiny. 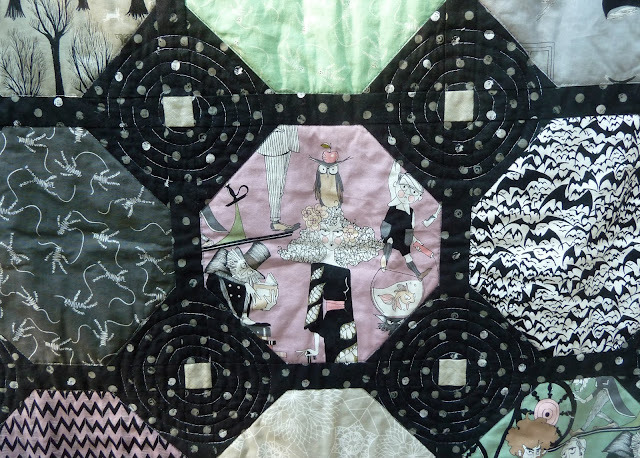 You'd think I'd be used to that after #100Days100Blocks but all those little black triangles were making me mental. With the demise of my LQS and my lack of foresight this one had to be 100% from stash. 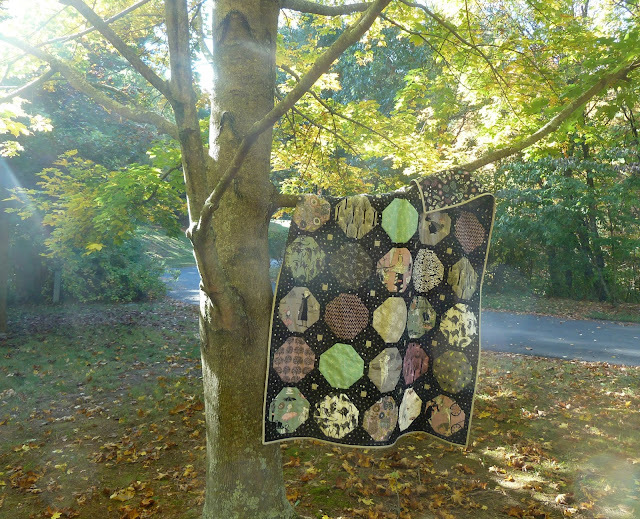 I spotted a right sized leftover black batting from my original Neptune quilt. I don't usually like to work with poly-blends but it was perfect for a pillow and I think the dark undertone adds to the richness of the colors. 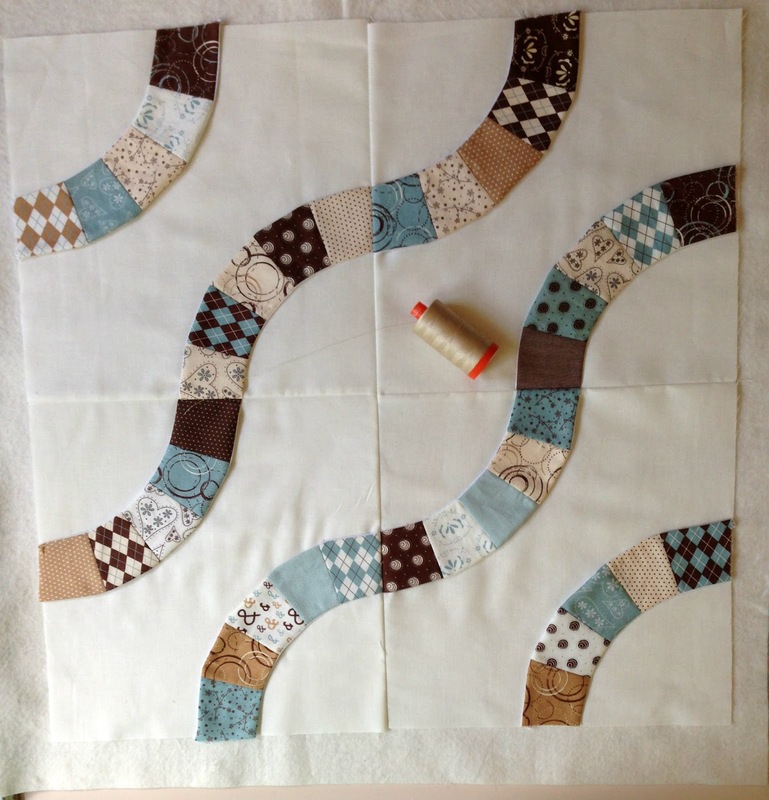 I kept the quilting simple and just outlined the major blocks. 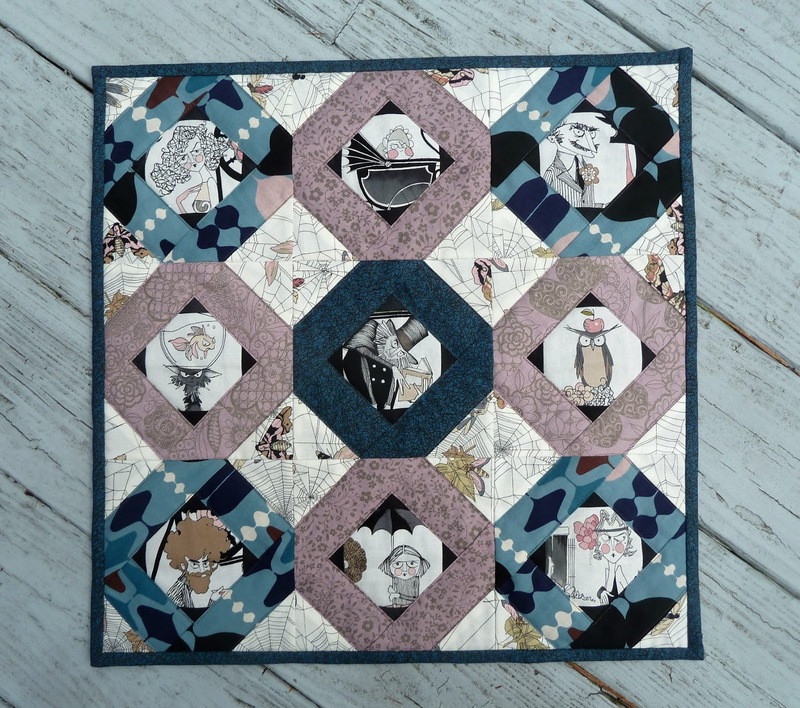 This may be my favorite block... you can bet even if I was trapped in a box I'd be reading. I stayed up way too late finishing this up but for once managed to run out of bobbin thread at precisely the right moment. Obviously the spirit world approves of my choices. And since I have a lifetime's supply of zippers so went ahead and used my go to zipper closure tutorial by to S.O.T.A.K. Handmade for the back. I'm ridiculously pleased with how well I got the stripes to match up. Meeting my Ghastlie End at this week's Finish it Up Friday by Crazy Mom Quilts and Myra's Finished Or Not Friday. Pattern: Tell Me a Story from Intentional Piecing by Amy Friend. Fabrics: Fabrics: from the Ghastlies collections by Alexander Henry. Batting: Hobbs Heirloom 80/20 Black. Thread: 50 wt. 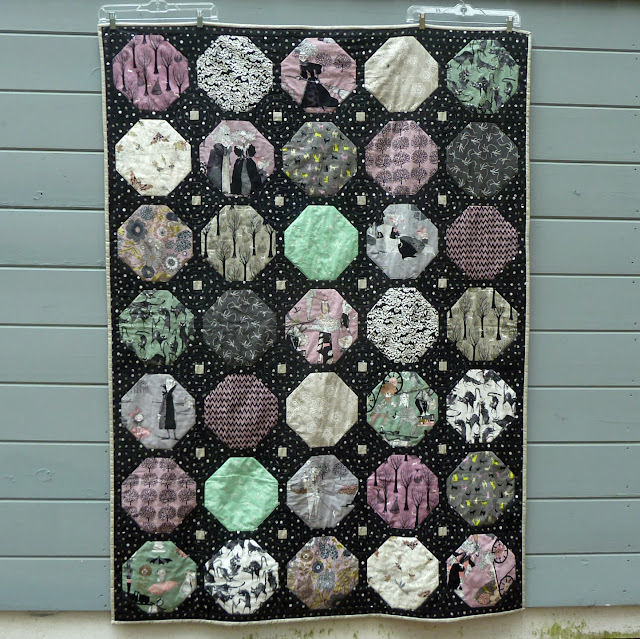 Aurifil in Pewter (2630). 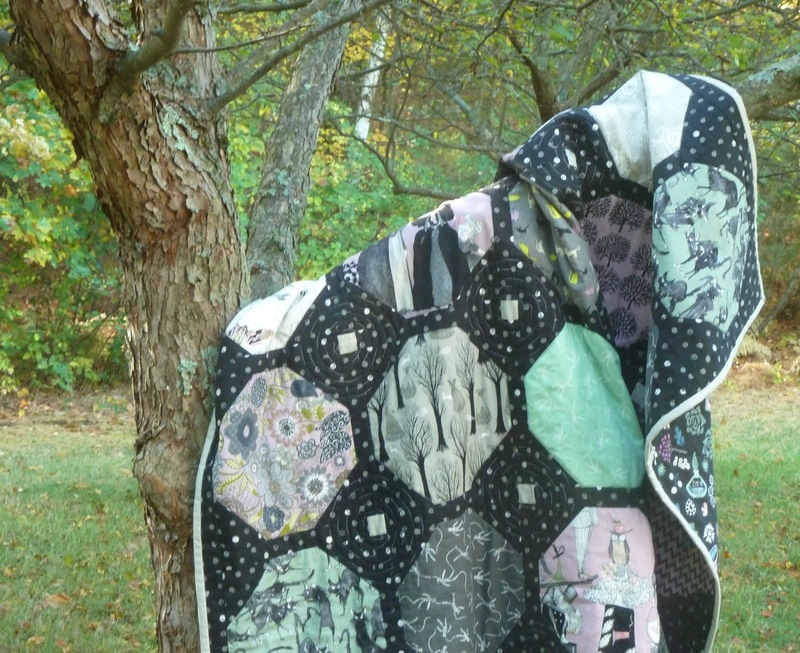 I'm so excited that I finished this quilt up in time for Halloween! I pieced the top of this Ghastlies/Spellbound mash up last October but it got waylaid. 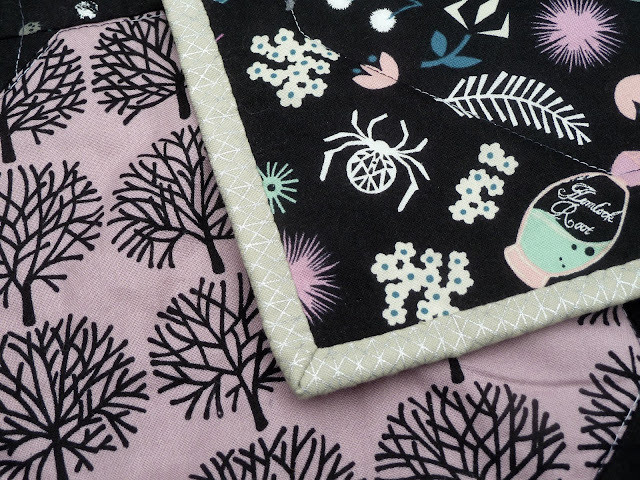 These collections are fabulous together! Since there are so many fun motifs, I choose a large block to highlight them. 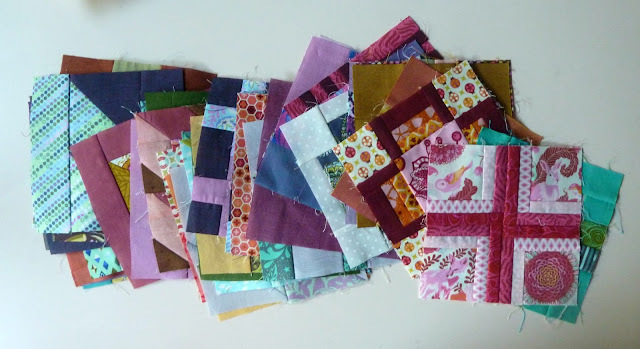 These started as 9 1/2" squares, mainly because I had that sized ruler. From there I just added the triangles to the corners to turn them into crystal balls. I have a ton of bonus triangles leftover, I'm hoping to get motivated and turn them into a pillow. 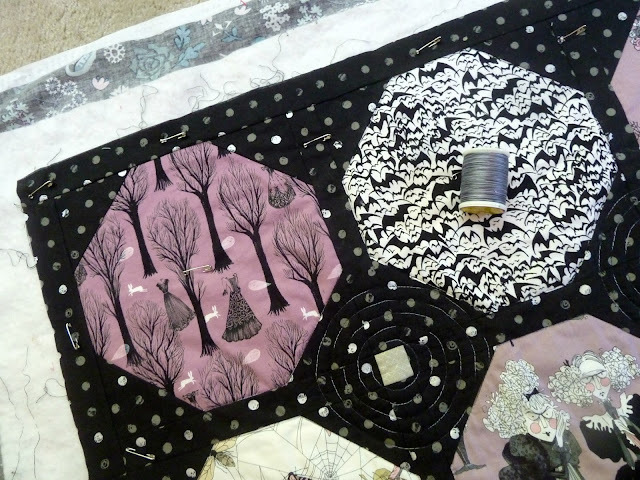 The circular quilting around the corner stones was a bit of a pain but I love the effect... 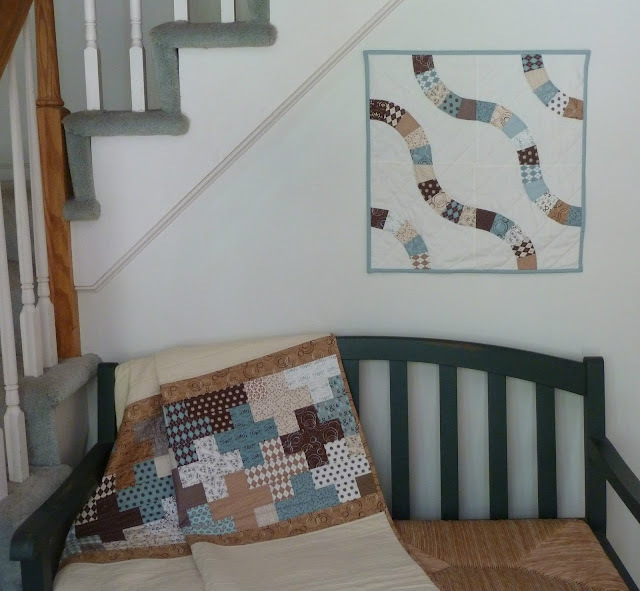 It almost makes you feel like you're being hypnotized if you stare too closely at the quilt. And did you see this binding??? It's Cloud Silver Netorious, the perfect hint of shimmer! 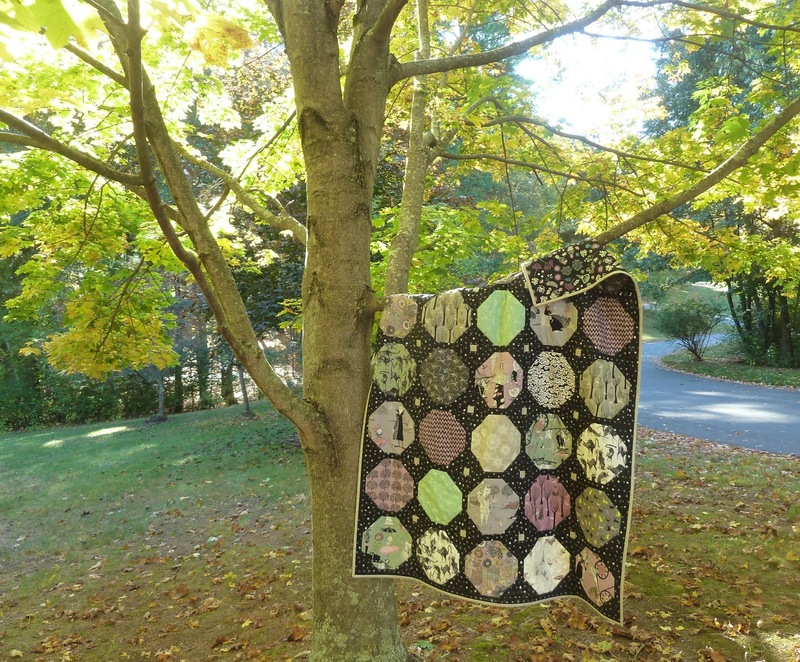 Haunting this week's Finish it Up Friday by Crazy Mom Quilts and logging my first finish for Q4 2016 Finish Along. 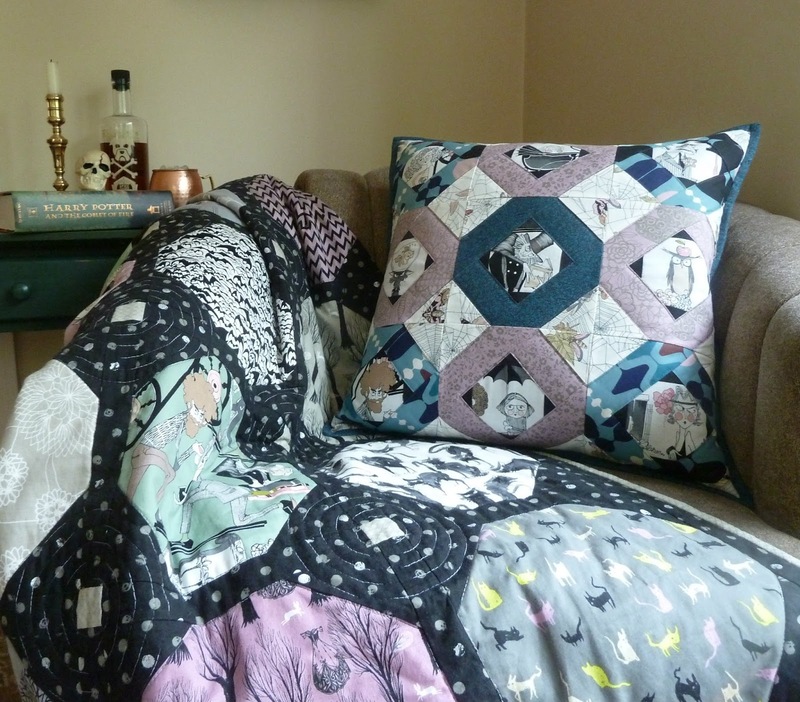 Finished quilt is 52" x 72"
Fabrics: from the Ghastlies collections by Alexander Henry and Spellbound by Cotton + Steel. Thread: King Tut Rosetta Stone (978). 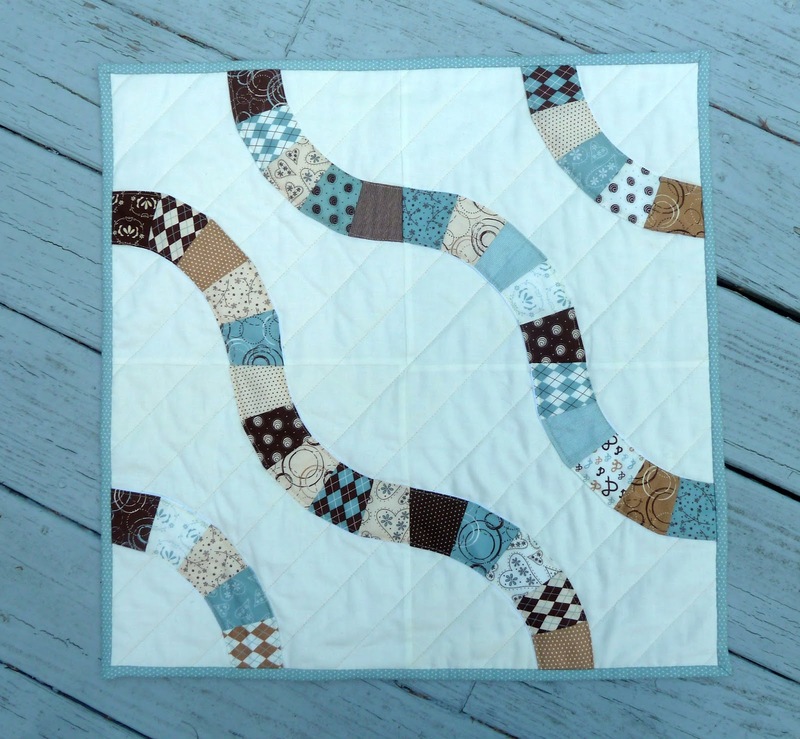 I've been obsessed with the Snake Trail quilt from Denyse Schmidt's Modern Quilts, Traditional Inspiration ever since I saw Little and Lots' Cerise Beast. 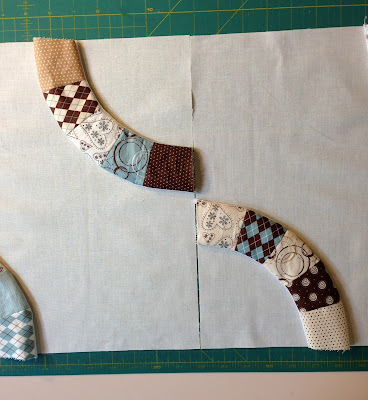 As soon as I offered to make Audrey's friend a quilt for her college dorm room I had this pattern in mind and then I actually read the pattern... paper templates for 4 unique pieces, cutting and sewing curves - not gonna happen! I love Denyse but I'm not a fan of her construction techniques. So I thought about other ways of doing it, maybe not better but definitely more in my comfort zone. Before I dove in to a whole quilt I decided to make a small wall hanging as a proof of concept. I measured the templates in the book and realized this would be a great way to use up my leftover Pure jelly roll. 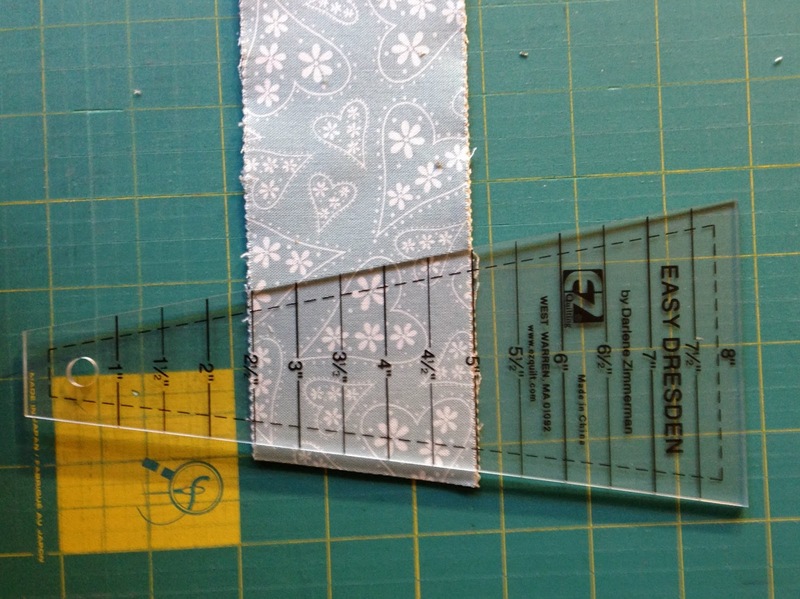 For the arcs I tried using the Easy Dresden ruler from my (still unfinished) Blue Plate Special. Once I had them sewn together I tried a variation on my favorite circle applique technique and sewed the long edges of the arcs to fusible (Pellon SF 101). It took some math to get the placement right but eventually I figured out the appropriate size block so the edges would align correctly. With the arcs fused to the squares I sewed the blocks together and then layered the top together with batting and a backing. 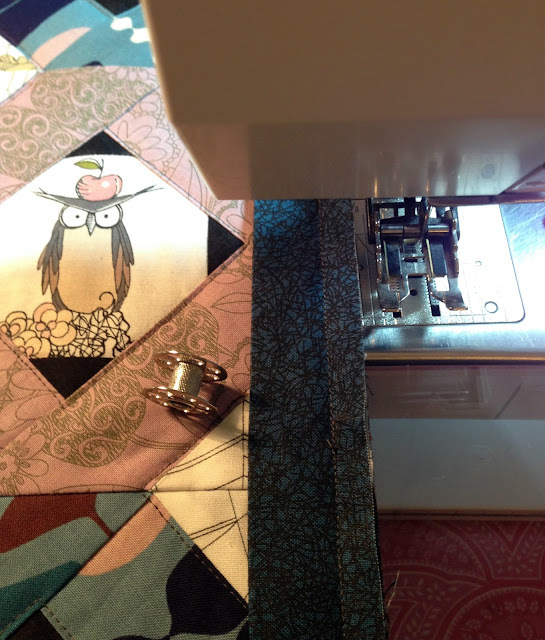 From there I quilted down the arcs using the edge of my walking foot as a guide. 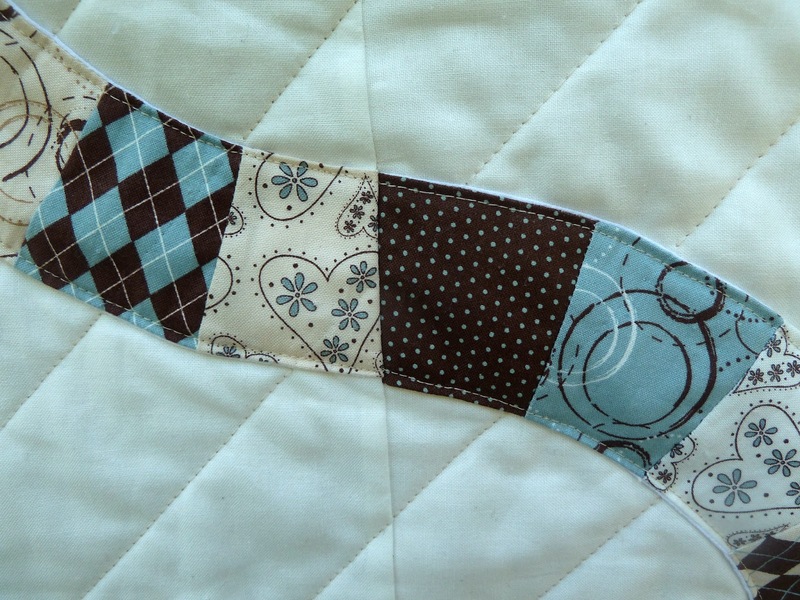 In a fit of insanity I also copied Denyse's diagonal quilting but chose not to quilt thru the arcs. I love the effect but will NOT be doing that again... all those starts and stops drove my crazy! 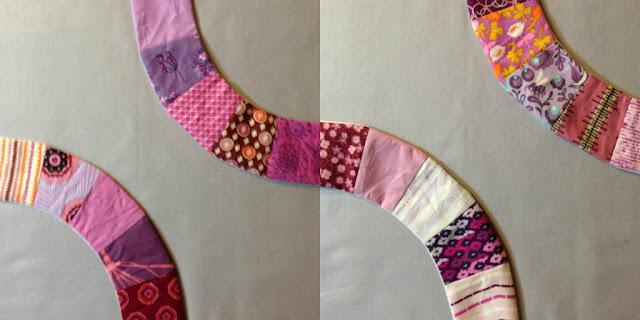 And now I have a fabulous companion wall hanging to decorate my foyer and I've worked out all the kinks in the process. Here we go!!! Sharing with this week's Finish it Up Friday by Crazy Mom Quilts. Finished quilt is 22" x 22"
Fabrics: Pure by Sweetwater for Moda, Kona Snow. Writing things down must really help... after months of not sewing I'm back with a vengeance. 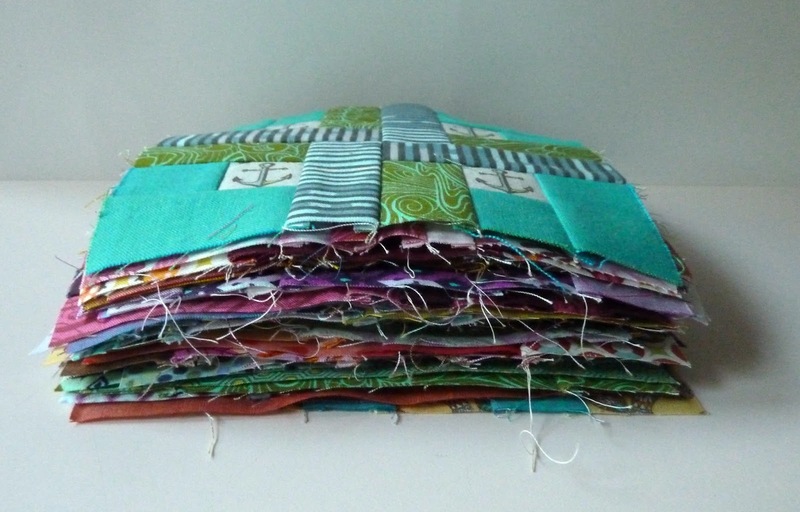 First I got my obligation sewing out of the way... a week's worth of City Sampler blocks for #100Days100Blocks. 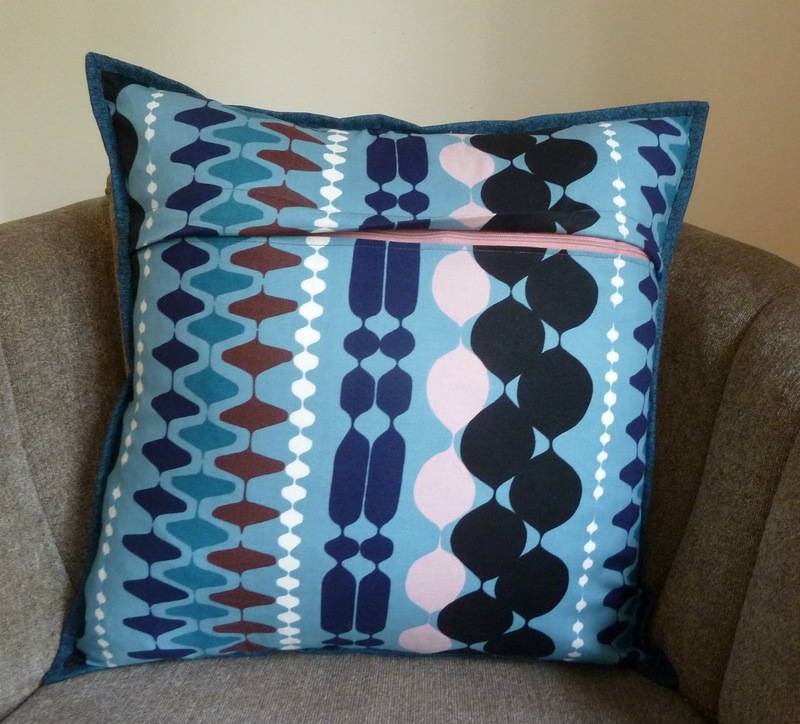 I thought I was going to miss the triangle blocks but after sewing the final one together incorrectly not once but twice, maybe not. Third time's a charm! 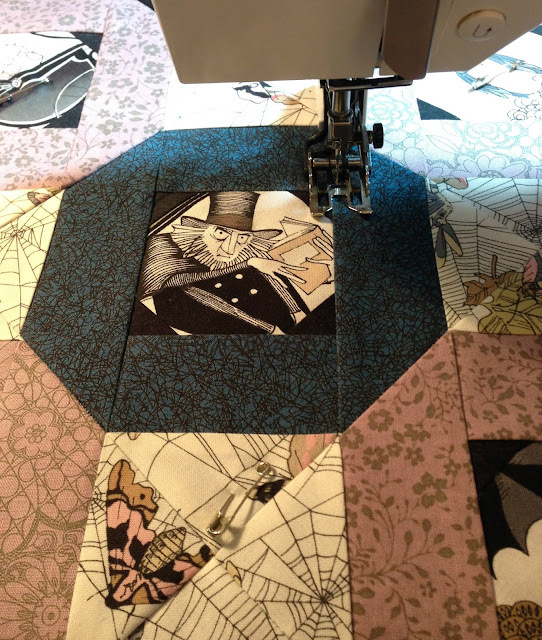 With that done I finally sat down and finished quilting my Ghastlies. I'm slightly annoyed by how little time it actually took and by the fact that I didn't actually need the extra spool of thread I bought to finish this up... this should have been done in May! 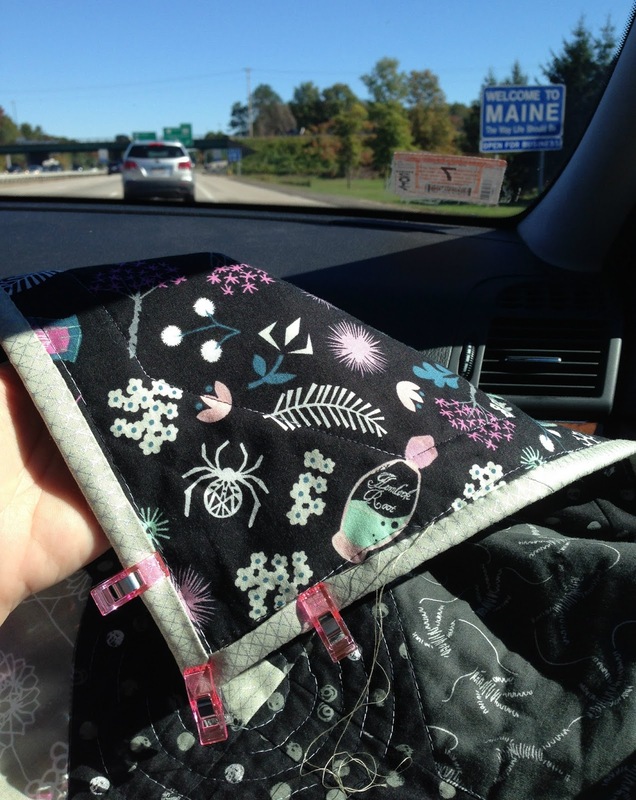 I wasted no more time getting the binding on so it'd be ready to go for our last trip to Maine on Columbus Day. 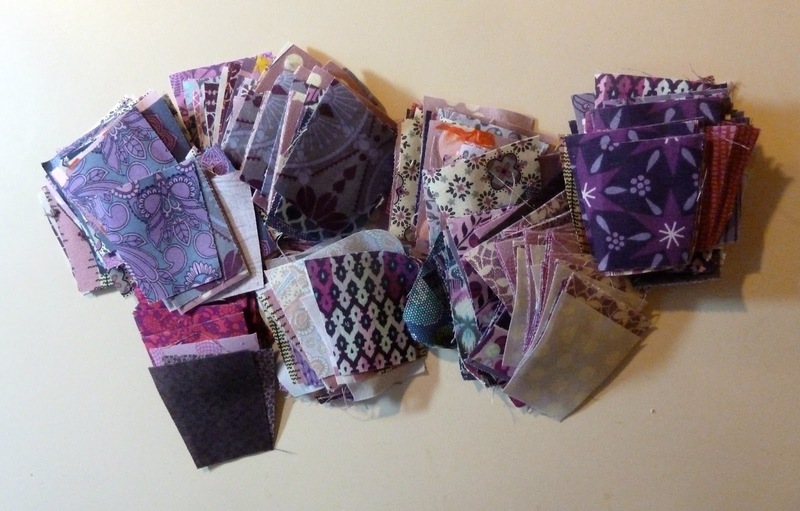 And as a reward for finishing I busted out my purple stash and started cutting wedges for my Snake Trail quilt... all 540 of them. 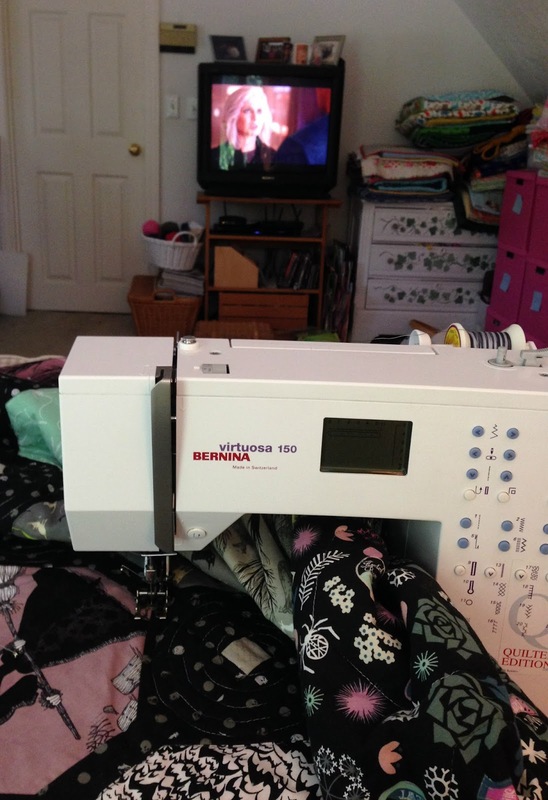 I can't wait to get sewing!!! 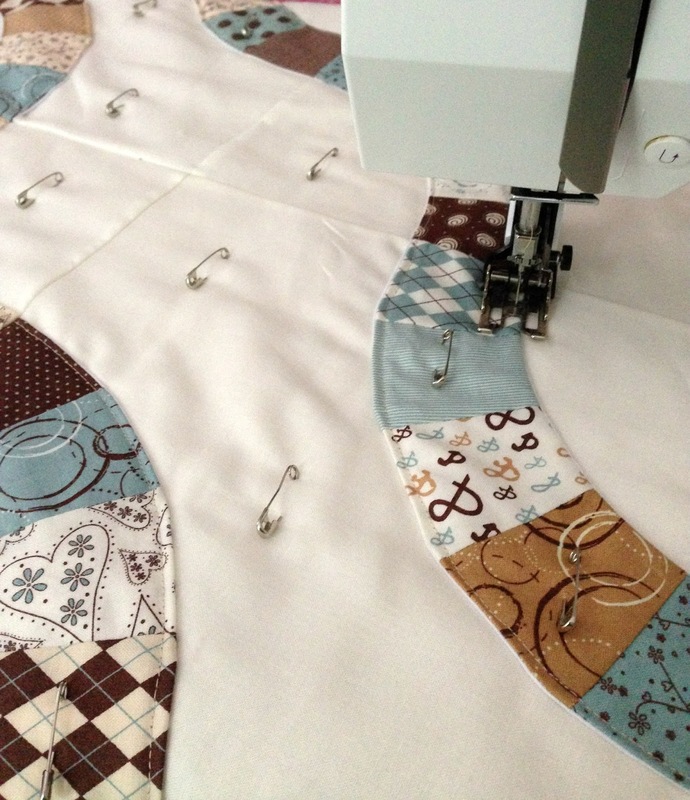 Did the long weekend land you in front of your sewing machine? 1. I can't resist making something Ghastly every October. Last year I put together this Ghastlies/Spellbound mash-up. 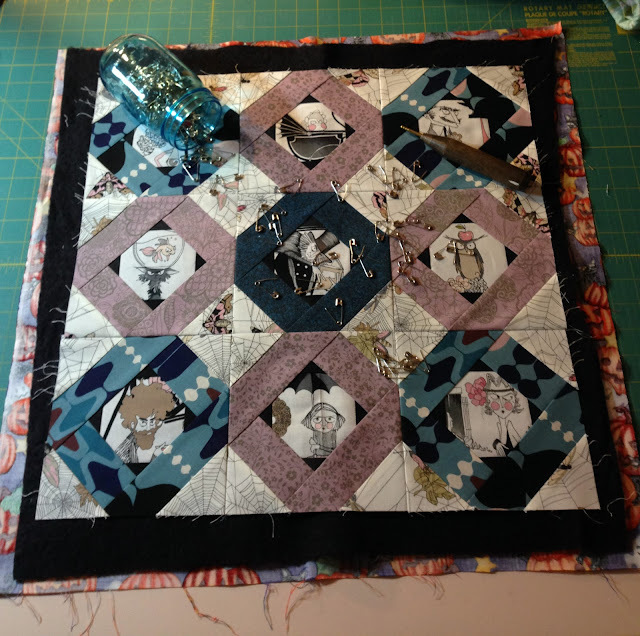 I basted it on retreat with the BostonMQG and was making great progress quilting it until I ran out of thread with only 3 snowballs left to quilt. Same old story except this time I was using a King Tut variegated which none of my LQSs carry. In a fit of optimism I broke down and ordered more from Amazon this summer and it's been sitting on my shelf ever since... my #1 goal is to get this finished before Halloween. 2. A dear friend of my daughter's started college this fall and mentioned she'd love to have a handmade quilt for her bed. I had big dreams of getting this done before she left in August but it's still just an idea I mocked up and a pile of fabrics. We'll be seeing her at Thanksgiving so I really want to be able to deliver this then. 3. Inspired by the 12 Days of Christmas in July Blog Hop I pulled out a couple of Riley Blake charm packs I had lurking in my stash and threw together this holiday throw. 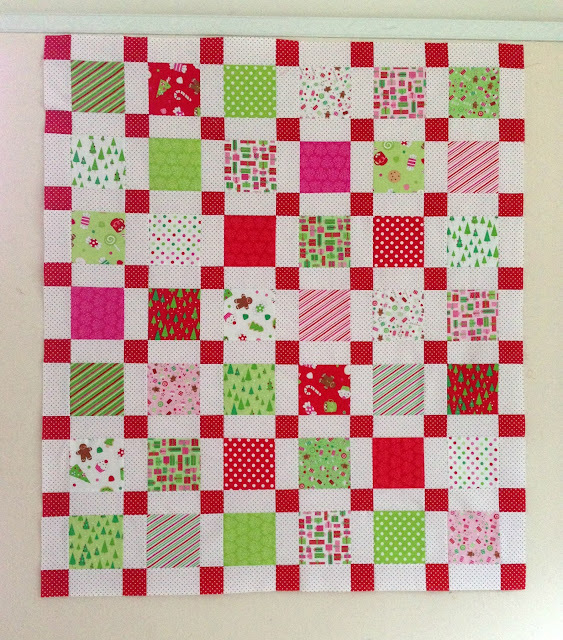 I need another Christmas quilt like I need a hole in the head but this should be a quick and easy finish. 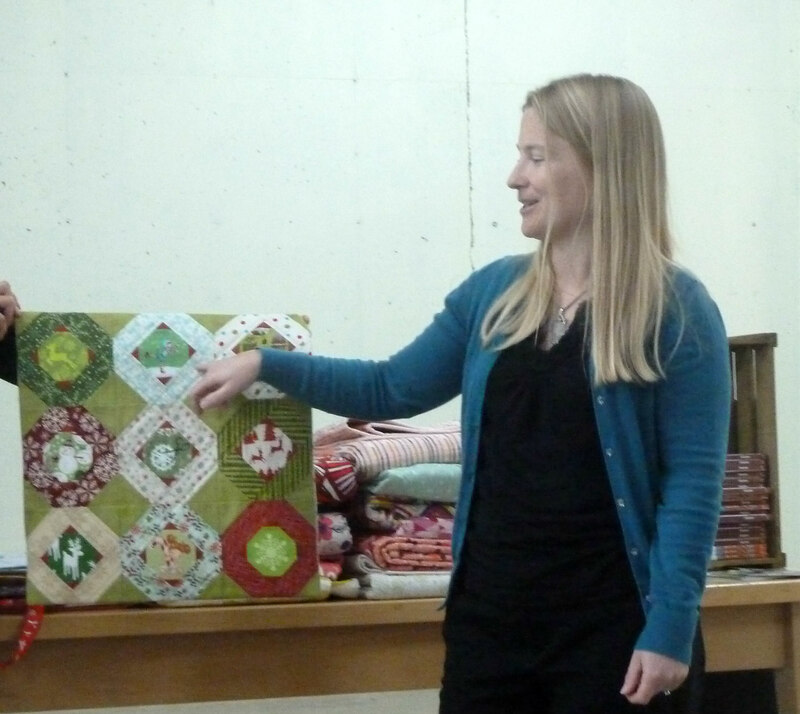 How do you plan to finish your year of crafting? 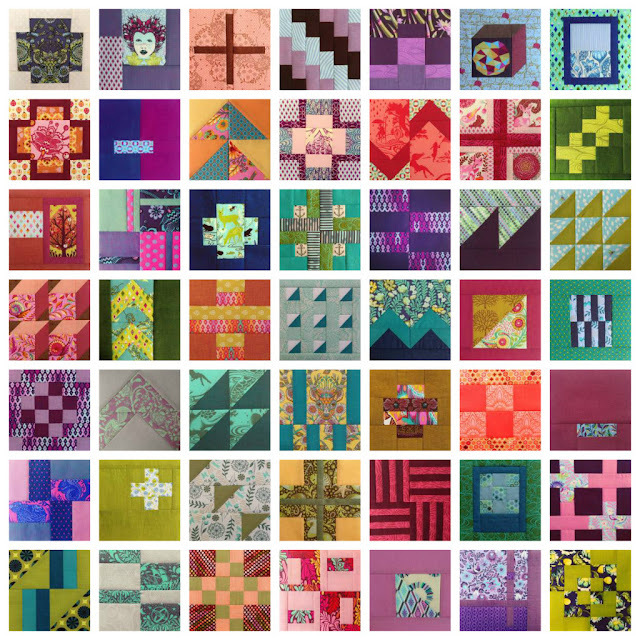 Check out what everyone else will be working on for Q4 at the 2016 Finish-A-Long. 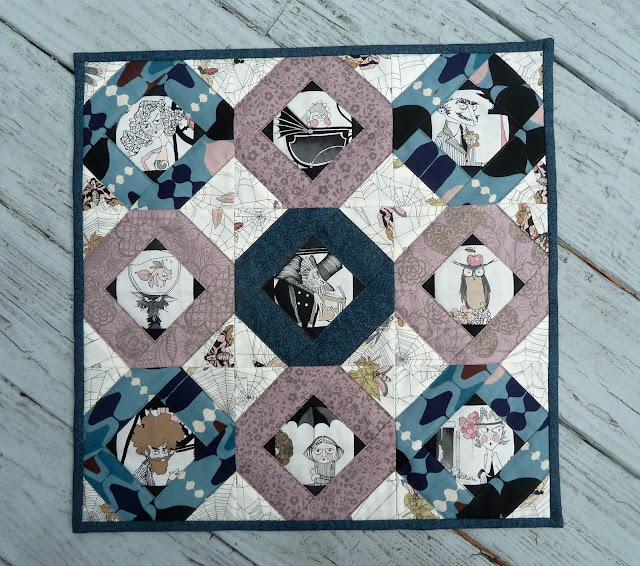 It's hard to believe we've reached the halfway point of the #100Days100Blocks I've managed to stick with it... day in and day out I've posted my block of the day. I'm not going to lie, it's not always fun and there have been several times I've been ready to quit. And pretty much every day where my block isn't already done. I've been pretty good about setting up sewing days to get 5 or 6 blocks done but somehow the next sew day doesn't happen before I run out of blocks so then I have to scramble for a few days until I have time to do another batch. I did a lot of soul searching to decide if I was going to continue past this point, after all 50 blocks will make a perfectly respectable throw. In the end I want to see it thru... I have to finish a book once I start reading it also, no matter how much I'm hating it.